SAVE 15% OFF WITH CODE "save15"
EASY TO USE - Using the pump dispenser, press down once for a single dose of nourishing lotion. MAXIMUM VITAMIN ABSORPTION - Maxasorb B12 is scientifically formulated to topically delivery Vitamin B12. I love all things skincare related, and one thing I didn't have in my stash was a Vitamin B12 Cream. I tend to suffer from dry patches on my face, elbows and knees. Most OTC moisturizers that I have used in the past just don't do much for those severely dry areas. 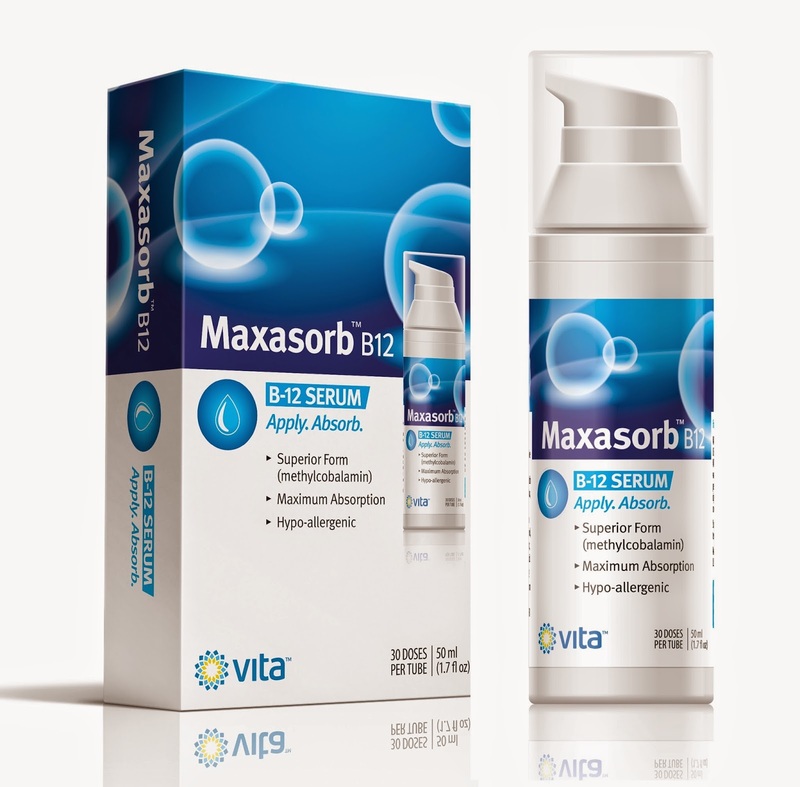 They help, but nothing compared to how well this Vita Sciences Maxasorb B12 Cream worked! The cream is on the thick side, has a pink tint, and has a slight minty scent. It goes on very smoothly, and within a few minutes it is absorbed. For me personally I find its use best at night. After my shower, I can put this on then go to bed. While I'm sleeping, its doing its thing. I wake up with skin that feels better, and skin that looks better. I have been using this for almost a month and my dry patches are going away! I could not be happier! The only thing that I dislike about this cream is the fact that the peppermint oil that is in the cream can cause a stinging feeling if you have skin that has been previously irritated. Other than that, I quite like this. Very nice cream to have in my skincare routine!